Ovarian cancer is the second most common gynaecological malignancy and the leading cause of death from gynaecological cancer. Most women present with advanced disease with little prospect of cure. The optimal management of epithelial ovarian cancer involves a multidisciplinary approach incorporating surgical staging, cytoreduction, and platinum-based chemotherapy in appropriate patients. There has been little overall change in the incidence and mortality rates from ovarian cancer over the past three decades, but improvements in survival times and quality of life have occurred as a result of key advances in both surgical and chemotherapeutic strategies. 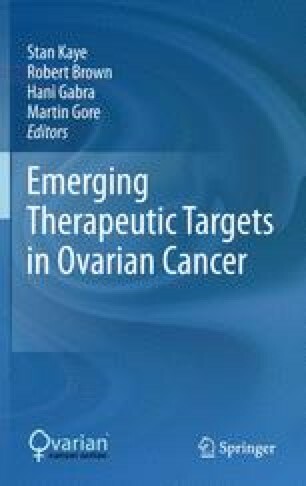 In this introductory chapter, we summarise the existing treatments for epithelial ovarian cancer, introduce recent advances, and highlight unmet needs in the treatment of epithelial ovarian cancer.